A lot of people seem to assume that all cremations are direct cremations without eulogies, or a nice service, or much time spent with the deceased before the cremation occurs. 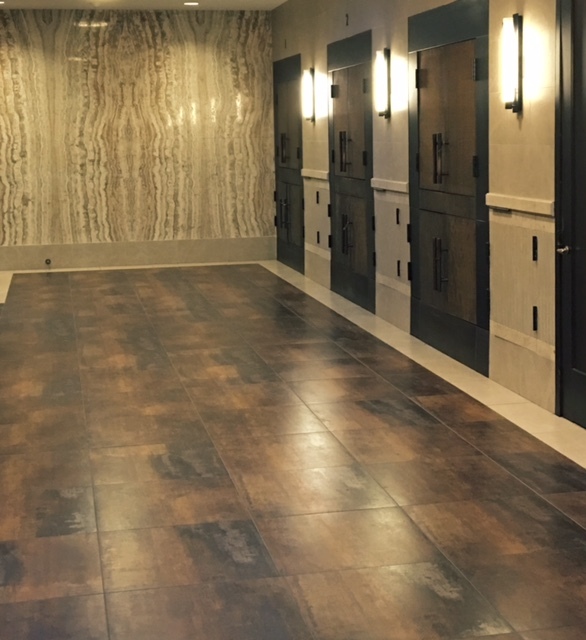 Thanks to Fitting Tribute’s use of the gorgeous chapels at Greenwood Cemetery's state-of-the-art crematory in Brooklyn, it is completely possible to have a closed casket commital service with flowers, eulogies and music before the cremation. We've even invited families to write letters or poems on top of the simple casket with colored pens and markers here in these chapels or at the funeral home in Brooklyn (or another we can rent for you), before ceremoniously placing flowers on the casket as a parting farewell. New Yorkers also don't know that, when scheduled properly, it is possible to bring a small group of family members and friends to the back of the crematory (which is decorated in an attractive fashion) to witness the casket's entry into the cremation chamber. This is not something everyone desires to do, but increasingly, bereaved families are seeking the peace-of-mind and finality that witnessing can provide. Click here to read answers to frequently asked cremation questions. And be sure to read Amy's blog post: "What People Don't Know or Can't Fathom About Cremation." One final note: most Jewish New Yorkers know that cremation is not the traditional choice for their family members. We will answer all your questions in a sensitive way, weigh out every option, and help you make the best decision if you feel you have no money for city grave space, or if your family is divided on what's the truest expression of Jewish values. in the folding of the wings over the nest. When a cremation takes place at Green-Wood's crematory, these chapels may be optimized for services at surprisingly low rates. Photos by Steven Waldman. A simple cardboard casket can look like a million bucks with our pretty quilted cover made by Park Slope artist Louise Guerin. We’ll help you think out the flowers that can go on top. This is where the casket’s entry into the cremation chamber can be witnessed. A glass-walled family viewing room is also available.